U.S. 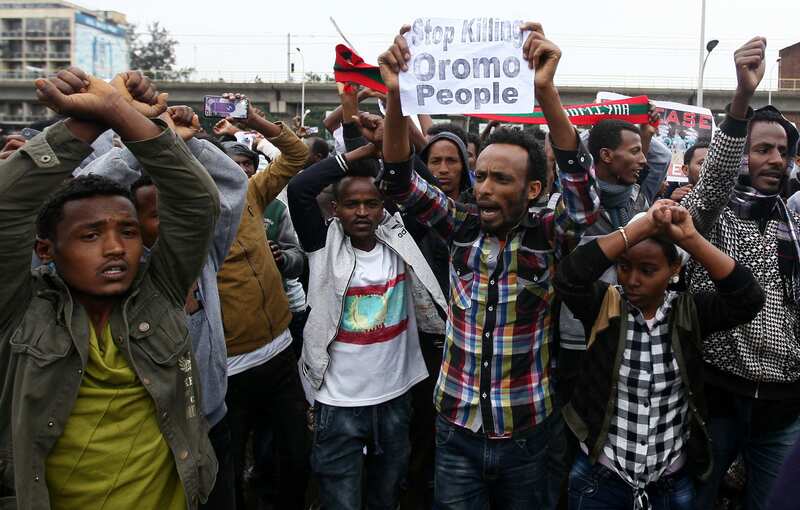 Representatives push for legislation targeting Ethiopia after Amnesty International and Human Rights Watch document human rights abuses. A bipartisan group of U.S. Representatives has proposed legislation targeted at the government of Ethiopia, after Amnesty International and Human Rights Watch documented hundreds of cases of alleged human rights abuses. House Resolution 861, titled “Supporting respect for human rights and encouraging inclusive governance in Ethiopia,” was introduced by Reps. Chris Smith (R-NJ), Keith Ellison (D-MN), Al Green (D-TX), Mike Coffman (R-CO), and Eliot Engel (D-NY). “It is an abomination when any country tortures its own citizens,” said Rep. Smith, at a September 13th press conference on Capitol Hill. 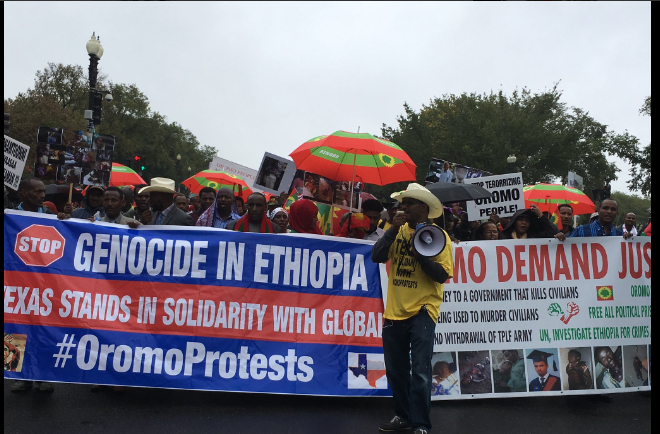 The human rights abuses, waged primarily against the Oromo and Amhara populations, have come to light despite Ethiopian authorities efforts preventing independent screeners from conducting transparent investigations. 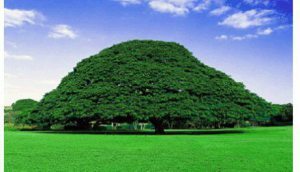 Ethiopia is a strategic ally of the United States. The country headquarters the 54 nation African Union, and, critical to U.S. interests, assists in counterterrorism efforts against al-Shabab, an Al-Qaeda aligned jihadi terrorist group based in Somalia. Ethiopia is also host to a staggering 750,000 refugeesfrom the war torn region. In a press statement Rep. Ellison said, “While Ethiopia is an important ally for the United States, continuing to let the Ethiopian government oppress its own people will only further destabilize the region. We must do all we can to ensure that the human rights of all Ethiopians are respected.” Rep. Smith added, “A valuable contributor to global peacekeeping missions, growing unrest in Ethiopia in reaction to human rights violations by the government threaten to destabilize a nation counted on to continue its role on the international scene”. Resolutions, like the one proposed, tend to be more of an opinion that often do little in themselves because they lack the political leverage to prompt much action. They often fail to hold allied nations to a standard of conduct, as countries and international organizations are hesitant to regulate how other nations behave within their own borders. The bill expressly calls on the government of Ethiopia to end the use of excessive force by security forces; hold security forces accountable after a full, credible, transparent investigation; release dissidents, activists, and journalists who have been imprisoned for exercising constitutional rights; respect freedom of assembly and freedom of the press; engage with citizens on development; allow theUnited Nations to conduct independent examinations; repeal certain proclamations limiting inclusive growth; and investigate shootings and a fire on September 3, that killed 23 people at a prison housing high-profile politicians. 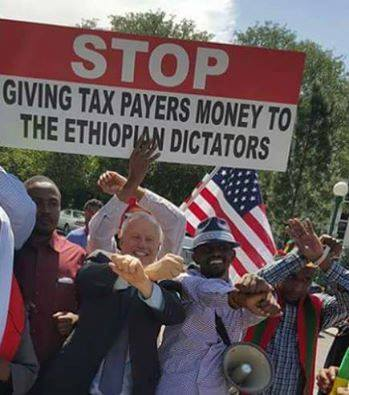 Noteworthy, is that the bill also seeks to apply financial and other pressure towards the government, by calling for the Secretary of State to “conduct a review of security assistance to Ethiopia” and “improve transparency” with respect to such assistance, and to “improve oversight and accountability of United States assistance to Ethiopia”. Experts give the bill a 32% chance of getting past the Foreign Affairs Committee and a 29% chance of being agreed to completely. Comparatively, from 2013-2015, 46% of simple resolutions made it past committee. 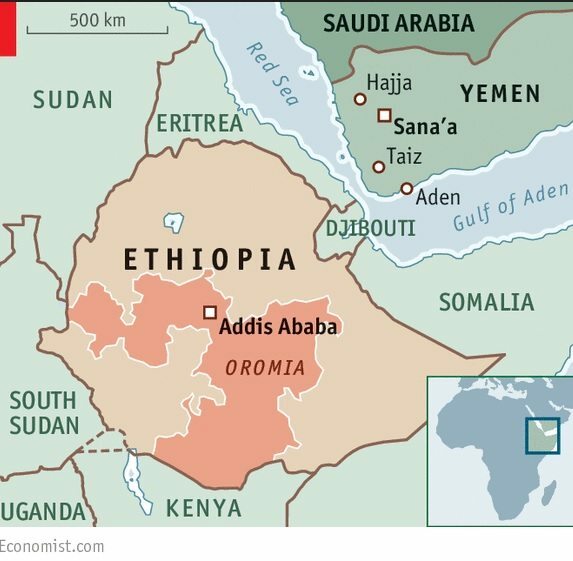 In a country of over 86 million, Oromos and Amharas constitute the two largest ethnic groups, combining for over 61% of the population. Yet, they are the most politically marginalized andeconomically disenfranchised. In 2015 Ethiopia’s ruling party, the Ethiopian People’s Revolutionary Democratic Front, won every seat in parliament despite little ethnic diversity. The EPRDF has remained in power since the overthrow of Ethiopia’s military government in 1991. J David Thompson (US Army) is a Juris Doctor candidate at Washington & Lee University School of Law focusing on International Human Rights Law. He is a Veterans in Global Leadership Fellow, and brings experience on human rights, international relations, strengthening civil society, refugee issues, interagency collaboration, and countering violent extremism. Prior to Washington & Lee, he served in the US Army as a Military Police officer and Special Operations Civil Affairs with multiple deployments to Afghanistan and one to Jordan—receiving a Bronze Star amongst other decorations. In Jordan, David worked at the US Embassy in countering violent extremism, strengthening civil society, and refugee response with other United States Government organizations, the United Nations, and various non-governmental organizations.